Lado de montaje Eje delantero. SE ENVIA EL MISMO DE LA FOTO. MAZDA RX8 Árbol de Transmisión Del. Año: 03 04 05 06 07 08. Pieza Árbol de Transmisión Del.  Pieza defectuosa.  Pieza equivocada. NOTA: SE DENOMINAN GASTOS DE DEVOLUCION A LOS OCASIONADOS POR EL TRANSPORTE. MX-5 Fahrzeugabdeckung " All Season" Mazda MX-5 NA NB NC ND. MX-5 Stabi Gelenk v. MX-5 Stabigelenk hi. MX-5 Stabi Gelenk h. -Bremsen & Reifenservice -Verdeck. Original Mazda® Ersatzteil. MX-5 Differentiallager oben Mazda MX-5 TYP NA, NB, NB/FL 1989 - 2005. Die Fahrzeugverwendungsliste dient nur als Auswahlhilfe und ist nicht bindend. Differentiallager Differential Diff Halterung Lager Buchse. Original Mazda® Ersatzteil. Wir führen Gebrauchtteile speziell für die Mazda® und Honda® Sonder­modelle. Diferencial delantero MAZDA CX-5 Luxury 4WD, Año: 2016. Wir können es überprüfen. Nous pouvons le vérifier. Mazda MX5 - Mk1 / Mk2 / Mk2.5 (NA / NB / NBFL) - open. These big case differentials were supplied on the Mk1 (NA) 1.8 and the Mk2 (NB) 1.6 and 1.8. Perfect for replacing your current noisy differential or for welding. Mazda MX5 - Mk1 / Mk2 / Mk 2.5 (NA / NB / NBFL) - abierto. Estos diferenciales de mayúsculas y minúsculas se suministraron en el Mk1 (NA) 1.8 y el Mk2 (NB) 1.6 1.8. Perfecto para reemplazar su actual ruidoso diferencial o para soldar. Fits all Mk1 1.8 MX5 models, 1993>1998, and all Mk2 & 2.5 models, 1998>2005 with standard diff and 4 speed auto gearbox. Mk1 1989>1998. Genuine Mazda Part. We source our products from all over the world to bring you the best in MX-5 parts and accessories. Fits all mk3 manual gearbox models, including 6-speed and LSD diff models. Genuine Mazda part. 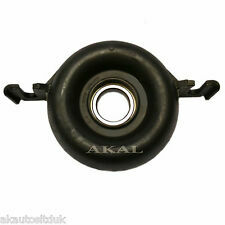 Oil seal, differential side, MX-5 mk3 2005 on, P04327238A. MX-5 Schaltmanschetten Satz Mazda MX-5 NA NB NB/FL 89-05 orig. I.L. Motorsport. Die I.L. Motorsport Lager sind ca. 40% härter als herkömmliche Lager und damit die perfekte Kombination mit den gehärteten Motorlagern NAB-7038. Prop to diff mounting set, MX-5 1.8. Fits all mk3 manual gearbox models, including 6-speed and LSD diff models. 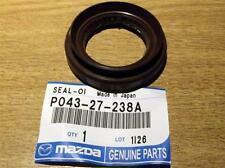 Oil seal, differential front, Mazda MX-5 mk3, 2005 on, MA0327165. Genuine Mazda part. Diff filler plug & washer set, Mazda MX-5 1989-2005. Differential filler plug 23mm. 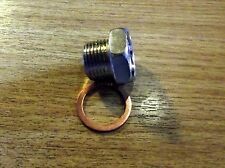 Differential filler plug washer (copper). Fits all mk1, mk2 & mk2.5 models. after the early mk1 1.6 (89-93), including Torsen diff models. Genuine Mazda parts. 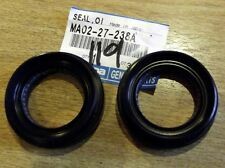 Oil seals, differential side, MX-5 1993 on, MA0227238A. Mk1 1989>1998. Genuine Mazda Part. Pipercross Filters. Cleaning & Care. Mk3/3.5 2005>2015. Mk2/2.5 1998>2005. We source our products from all over the world to bring you the best in MX-5 parts and accessories. Diferencial delantero MAZDA CX-7 Active, Año: 2010. Referencia : LN0527500F, Observaciones: Caja transfer. Código interno: 297089. Wir können es überprüfen. Nous pouvons le vérifier. For Sale is a 2004 MAZDA RX8 2616cc Petrol Manual Rear Diff Differential Assy. Please see item description for more information you will receive everything you see in the images. 2 x Powerflex PFR36-120 Rear Diff Mounting Bush MAZDA MX-5 NA NB (No.20). PU Lager / PU Buchsen / Polyurethan. MAZDA MX-5 NB. MAZDA MX-5 NA. diagram reference no. 20. Fits all mk1, mk2 & mk2.5 models. after the early mk1 1.6 (89-93), including Torsen diff models. Used MK1 MX-5 Right hand Drive. All parts are used and from Eunos or UK MK1 Models. MAZDA MX5 PARTS. Diferencial trasero MAZDA CX-5 Luxury 4WD, Año: 2016. Wir können es überprüfen. Nous pouvons le vérifier. Mazda MX5 - Mk1 Mk2 (NA NB) 89-05 - OPEN 5 SPEED DIFF 4.100:1 - big case. Condition is Used. Dispatched with Royal Mail 2nd Class. Genuine Rear Differential Diff. Mazda MX-5 NB (2002). 22V - SUNLIGHT SILVER. 2 Door Convertible. 5-Speed Manual. CE04D16 / B6ZE(RS). Engine Code. Diferencial trasero MAZDA MX-5 2.0 CAT, Año: 2017 Código interno: 809090. No se realizan envíos internacionales en territorio insular. NCFL Schaltgetriebe 2008 -. MX-5 Schalter Fensterheber ORIGINAL Mazda NB 98-00 schwarz. Original Mazda® Ersatzteil. Rechts und links gleich. Passend für MX-5 Seitenblinker Leuchten Satz Blinker ND dunkel getönt Mazda MX-5 Typ ND. DIFERENCIAL TRASERO MAZDA CX-7 Luxury, Año: 2007. Observaciones: TRANSMISIONES TRASERA INCLUIDAS. Venta online a toda España, envíos rápidos en 24 horas. Nós podemos verificar isso. Wir können es überprüfen. 2 Silentblocks de soporte diferencial para. MAZDA CX - 7 ER 2007-2009. MAZDA 6 WAGON GY 2002-2005. The Quaife ATB Helical LSD differential never locks harshly with a set pre-load of wheel slip across the driven axle, like a conventional LSD. The Quaife ATB Helical LSD differential has many benefits over a standard open differential, including maximising traction and minimizing wheel spin, eliminating torque steer and snatching in front wheel drive cars compared to conventional LSD units, and a maintenance-free design which retains the standard oil lubrication. Hemos estado en el negocio en estado de Washington desde 1982, fabricamos y vendemos piezas de calidad para su Rx! ESTE ES UN NUEVO JUEGO QUE TIENE TODAS LAS PIEZAS QUE TENDRÁN QUE CAMBIAR LOS RODAMIENTOS TRASEROS AXEL ESTE KIT TIENE LAS SIGUIENTES PARTES. Fits all early mk1 1.6 models (89-93), including viscous LSD models. Genuine Mazda parts. Seals where the driveshaft / halfshaft goes into the diff. 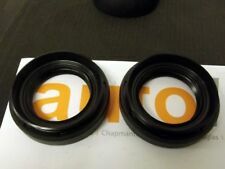 Oil seal set, differential side, MX-5 1989-93, T02027238. 2 x Powerflex PFR36-121 Rear Diff Mounting Bush Insert MAZDA MX-5 NA NB (No.20). PU Lager / PU Buchsen / Polyurethan. MAZDA MX-5 NB. MAZDA MX-5 NA. 2 in this box. Original Mazda® Ersatzteil. MX-5 Differentiallager unten NA NB Mazda MX-5 TYP NA, NB und NB/FL 1989 -2005. MX-5 Antennenstab NB f. elektr. Antenne Mazda MX-5 NB 1998 - 2005 elektrisch. MX-5 Kennzeichen Konsole Halter Schwarz Mazda MX-5 NB/FL 00-05. 2 Silentblocks de los soportes diferenciales para. MAZDA CX - 7 ER 2007-2009. Fits all early mk1 1.6 models (89-93), including viscous LSD models. Genuine Mazda part. Seals where the driveshaft / halfshaft goes into the diff. Oil seal, differential side, MX-5 1989-93, T02027238. 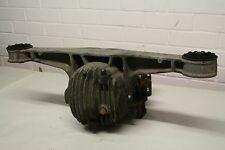 For Sale is a 2009 MAZDA MX5 1798cc Petrol Manual Diff Differential Assy Assembly. Please see item description for more information you will receive everything you see in the images. Diferencial trasero MAZDA CX-7 Active, Año: 2010, Observaciones: tramsmisiones incluidas. Desguaces GP. Venta online a toda España, envíos rápidos en 24 horas. Nós podemos verificar isso. Wir können es überprüfen. Mazda MX-5 Miata OEM ABIERTO TORSEN LSD Diferencial DIFF Cubierta del portador de la carcasa. Tiró de un 2004 Mazda Miata. Custom Bundle No. Manufacturer Part Number Does Not Apply. Surface Finish 1.8L. Y su serie 1 & 2 Rx7 (79-83). 2 retenedores de eje trasero (8531-26-152). Hemos estado en el negocio en estado de Washington desde 1982, fabricamos y vendemos piezas de calidad para su Rx! Manufacturer Part Number Are73-RX. 1x Differential Hinterachsgetriebe. Mazda CX5 CX-5 2.2 Diesel 4x4 SH01. Highlands, Islands and Ireland such as the following AB31 TO AB56, ON, BT, GY, HS, IM, IV, JE, KW, PA20 TO PA78 AND ON., PH, PO, ZE as well as any OFF SHORE ISLANDS. Mazda - BT-50 - CD [2006-2016] - 2499ccm 110HP 81KW (Diesel). Bush set, polyurethane, differential mounts, MX-5. 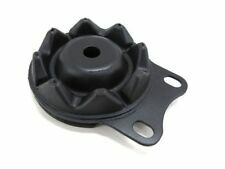 FRONT SHOCK ABSORBER TOP SUPPORT STRUT MOUNTING (JE10405) - QTY:1. Highlands, Islands and Ireland such as the following AB31 TO AB56, ON, BT, GY, HS, IM, IV, JE, KW, PA20 TO PA78 AND ON., PH, PO, ZE as well as any OFF SHORE ISLANDS.